I was asked by my marketing team to help in the history telling of Caves Kitchens. I think they wanted a list of facts and dates and such. So I began researching what other company’s do for their history page. Well… every history page I read was about the same, written by a marketing person, using the exact same marketing coined-phrases, emphasizing quality, experience, lifelong passion etc. Wow… that was exhausting. I would much rather use this time to get to the root of things. So… let’s go about this a little differently. Through a taste of my family’s history, I will try to convince you to choose my company for your project over any of my competitors. I will attempt to make this both entertaining and brief. To me, history is extremely important. I am currently in charge of running my family’s business. And feel first hand responsibility for carrying out the traditions of the past, so as someday to pass it to the next generation with the same integrity we have carried for so long. 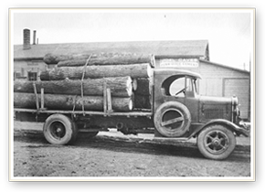 Over 100 years ago, in the exact same town we are located in today, my great grandfather, Joel Caves, started a lumber and millwork company. He must have been pretty good at running the business because it survived through many decades, through the great depression, and into the 2nd generation of ownership. From what I have found, he also must have been a heck of a craftsman. I don’t think he simply was born that way… but as his life progressed he developed quite a technical woodworking skill set. My home and my parent’s home are sprinkled with pieces of furniture that man created from scratch. My son actually sleeps in my father’s bed, handcrafted by my great grandfather… and as I inspect his workmanship, I am amazed at his ability given the caliber of equipment available to him at the time. The people in that generation… they were truly craftsman. In my opinion, my grandfather, the 2nd generation, was probably better at running a business than he was a woodworker. As a businessman, he expanded his company’s territory and opened up another lumber and millwork facility in a nearby town. His, now two stores, supplied lumber and built stairs, cabinetry, moldings, windows, doors, anything and everything made with wood. Over the years, he employed many people from our town and developed quite a positive reputation in the community. From him I really feel the businessman gene… the wanting to compete on every single level of a project. Now here is my first of unbridled truths… I do not think my grandfather was a very good craftsman. After all, we all know that sometimes the nut does fall a little bit far from the tree. Don’t get me wrong, many people have told me my grandfather, J. Walter Caves, was a good woodworker, but I think he actually surrounded himself with very experienced craftsman, and that is how he truly made a name for himself in his community. Now for the 3rd Generation, my Dad, Jim Caves. He has by far been the biggest influence in how I run my business. I probably got my woodworking skills from my great grandfather and my aggressive business style from my grandfather, but if you want a company to work with that is friendly, courteous, professional and trustworthy, that all comes from my dad. He was one of the nicest guys on the planet. The respect for the Caves name and how to do business in a small community is what he is all about. He retired the lumber business end of things in 2000. In his retirement, he worked with me for many years. I miss him every single day as he passed at 82 in February of 2018. I am now the 4th generation. 1998 rolls around and my wife, Allison, and I begin Caves Millwork LLC. We start with one employee in a newly built shop. We take all of the knowledge of business, millwork and cabinetry my family has compiled and go to work. Together, Allison and I design. Then, I run production and Allison runs the finish room. We work this way, designing, building, and hiring more people, growing Caves Millwork’s cabinetry brand. We begin to purchase better, larger equipment, computer aided design programs, even computer driven overhead CNC routers. If you think I am being long winded about this history page… You should see how passionate about the Caves Millwork Brand of cabinetry I am. To see more about the Caves Millwork line of cabinetry see www.cavesmillwork.com. Then, in an effort to continually advance, Allison stopped spraying finish and went back to school to become a Certified Kitchen Designer. Caves Kitchens is a full design/build kitchen and built-in cabinetry supplier. After a tremendous amount of research, Caves Kitchens expanded its cabinetry offerings to now include Crystal, Shiloh, and Candlelight Cabinetry amongst others. In addition to its already popular Caves Millwork Brand. We now have 14 plus employees and a network of suppliers, contractors, installers… wow life has been good and we are constantly working to make it better! I guess what I am trying to convey is… You must be considering a project if you have read all of this… A project that is expensive and somewhat complex. A kitchen renovation is not a commodity item like a 2×4 piece of lumber. It takes professional and trustworthy, hands-on accountability. With people that have a name in the business. We have the name and experience, and a real vested interest in every project. Who better to run a cabinetry project than designers that actually have a background in cabinet building? Hopefully you now know a little bit about what makes us tick. Thanks for listening to me. P.S. Unbridled truth is how I like to operate. As you meet me, you will see it. Honesty is always the best policy.